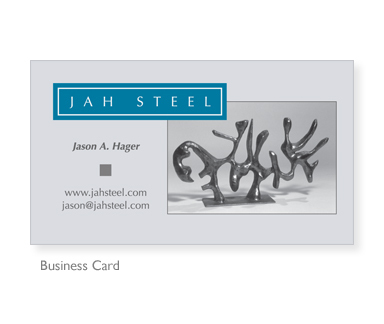 Jason A. Hager (JAH Steel) is a sculptor based in Richmond, Virginia. His biomorphic, steel sculptures are a cross between living and abstract forms. To capture the essence and style of JAH Steel's art, JJS Design created a logo that mimics his work - from the abstract lettering to the steely blue colors. 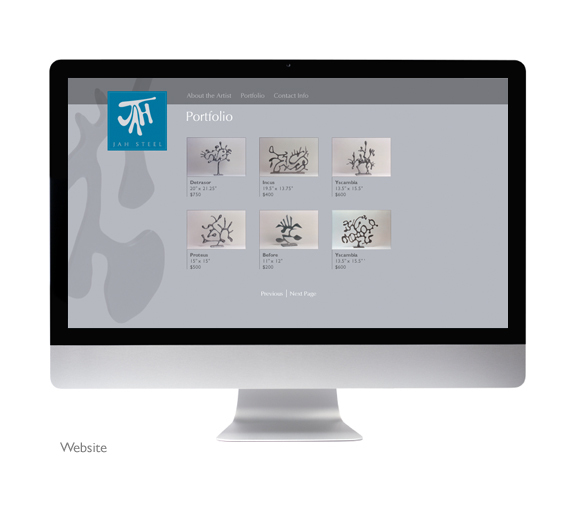 The result is a clean identity that successfully represents JAH Steel's brand and creations.